BioWare and EA have dropped some details on Anthem's post-launch content, due to get underway in March with the release of Act 01: Echoes of Reality, which will in turn be divided into a series of updates. It's broken into three distinct updates that promise new events, quality of life updates, new rewards, and expanded progression system, a new Stronghold, Guilds and Leaderboards, new missions, and what they're calling "The Cataclysm". 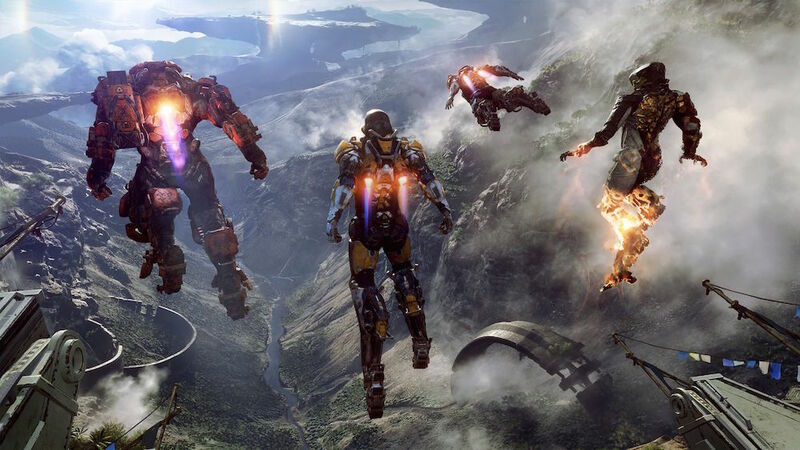 EA's upcoming video game Anthem now has two demo weekends behind it, but there are still a lot of questions from the fandom about the new, action-packed, high-flying franchise. For more on Anthem, be sure to check out a breakdown of what Anthem's Endgame content will look like from a gameplay perspective, as well as 10 minutes of a Legendary Contract on Anthem's challenging Grandmaster I difficulty. You'll also find cataclysms, which are time-limited world events. To start, three extra difficulty modes will be unlocked once you reach pilot level 30, the game's level cap. Rarer gear can be acquired by tackling missions at harder difficulties, which run the spectrum from Easy to Normal, Hard, Grand Master, Grand Master 2, and Grand Master 3. In the game, you take the role of a Freelancer, donning an array of customisable exosuits called Javelins. Challenges occur on a daily, weekly, and monthly basis and reward you with materials and coin. These multi-part missions are take more work, skill, and firepower to complete. Contracts will allow players to increase their reputation with different factions, granting them access to crafting blueprints.